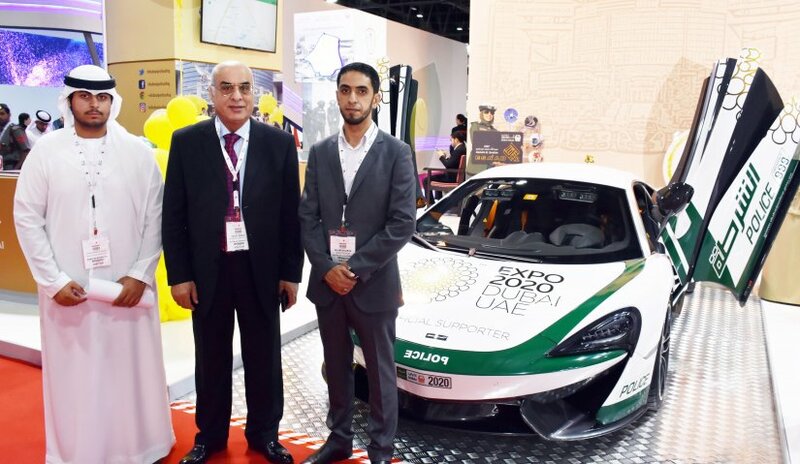 A delegation from Al Falah University today visited the fifth edition of the Dubai International Exhibition for Government Achievements held under the patronage of His Highness Sheikh Mohammed bin Rashid Al Maktoum, Vice-President and Prime Minister of the UAE and Ruler of Dubai. The Dubai Government Excellence Program to the Executive Council of Dubai organized the event at the Dubai World Trade Center with 80 participants from 20 countries. The delegation headed by Prof. Dr. Nasr Abbas, Director of Students Affairs Unit with Dr. Islam Bourini from the College of Business Administration and a number of university students, aim to learn about outstanding experiences and creative ideas in various scientific and practical fields through the exhibition. During the exhibition, the participants were briefed on the achievements and innovations of the participants from the UAE and the surrounding countries. The participants also had the opportunity to learn about the distinguished contributions of more than 50 government entities from Dubai and the other emirates as well as the experiences and achievements of governments outside the UAE.